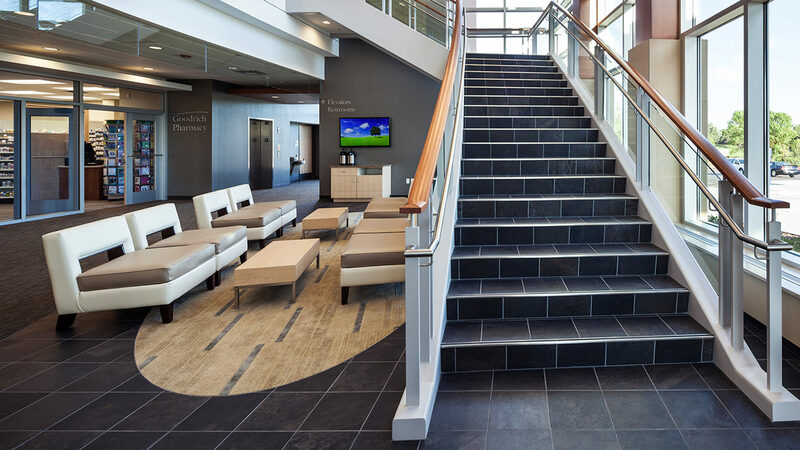 Located on the site of a former baseball field, the award winning, two-story, 60,000 s.f. 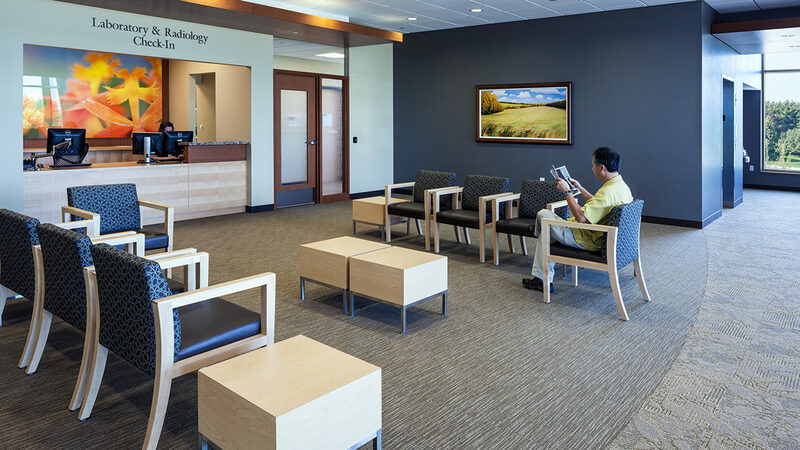 building is nearly double the size of the clinic it replaces. 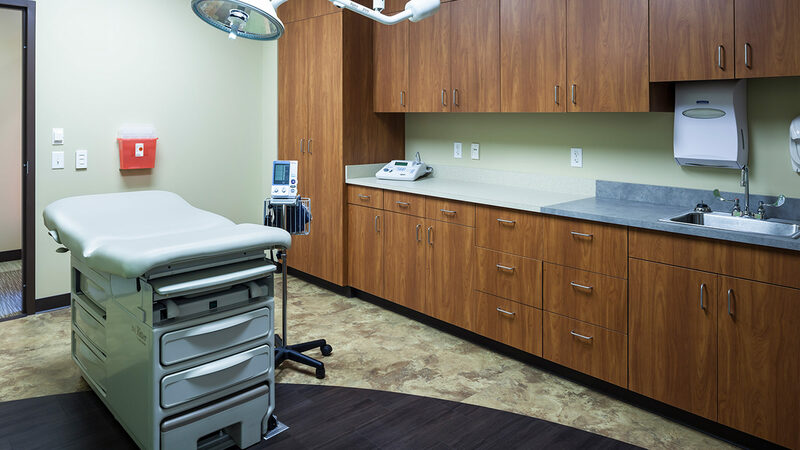 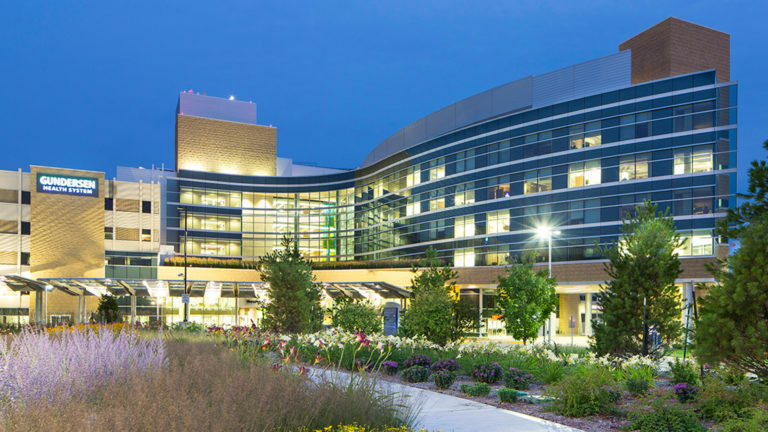 Created with input from the community, the new facility adds several new services, including pharmacy, urgent care, ob/gyn, chiropractic, mammography, occupational medicine and non-chemo infusion. 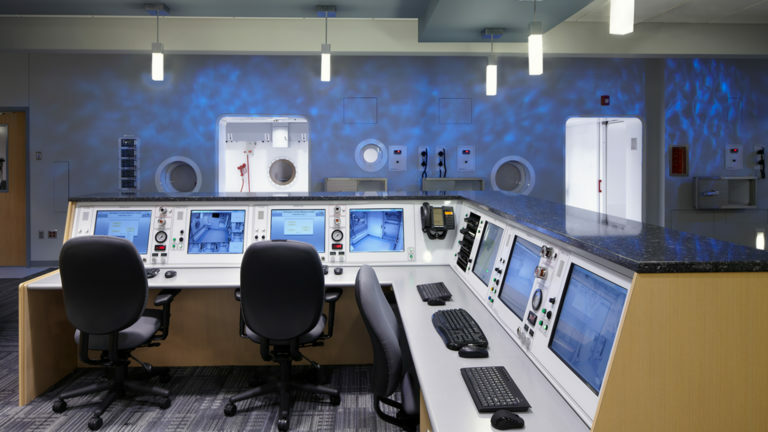 Other features include on-site lab, radiology, ultrasound and colonoscopy services. 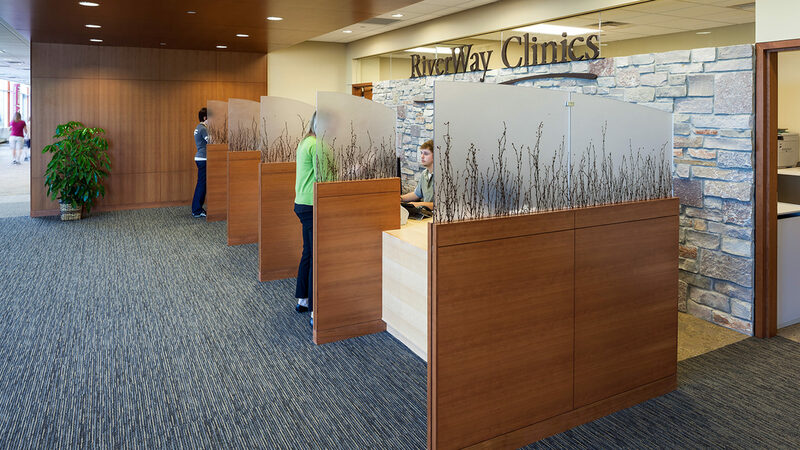 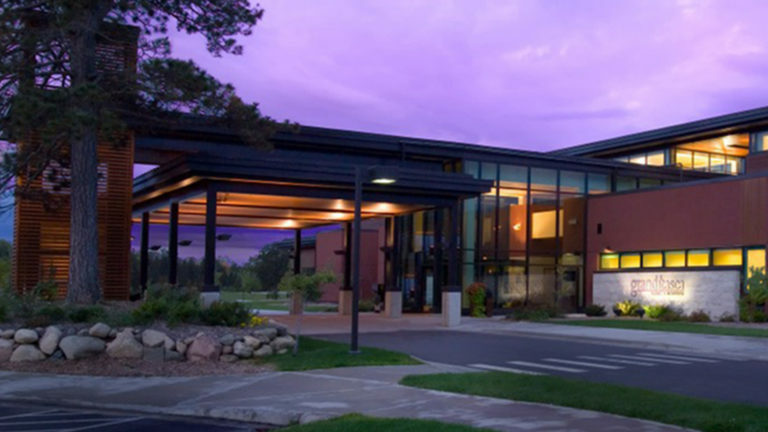 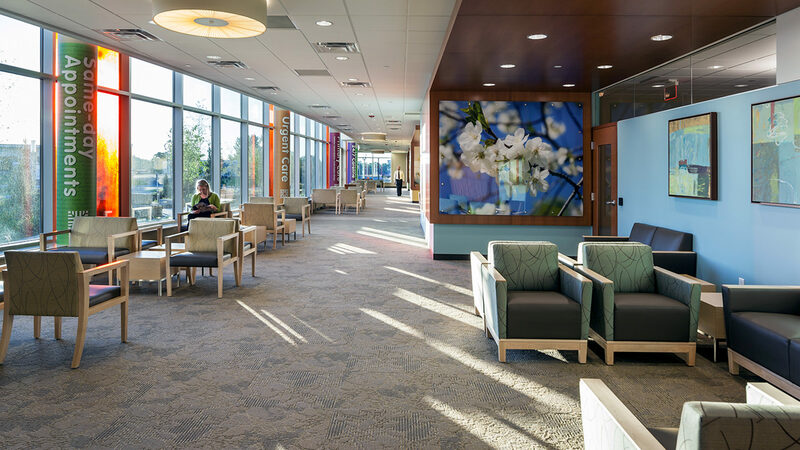 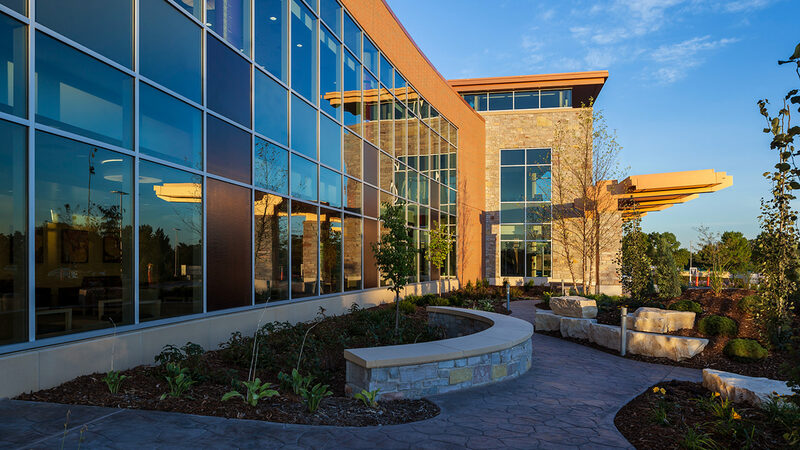 The facility evokes a calm, serene environment with abundant natural light, genuine stone, granite and wood surfaces, nature murals and other calming elements. 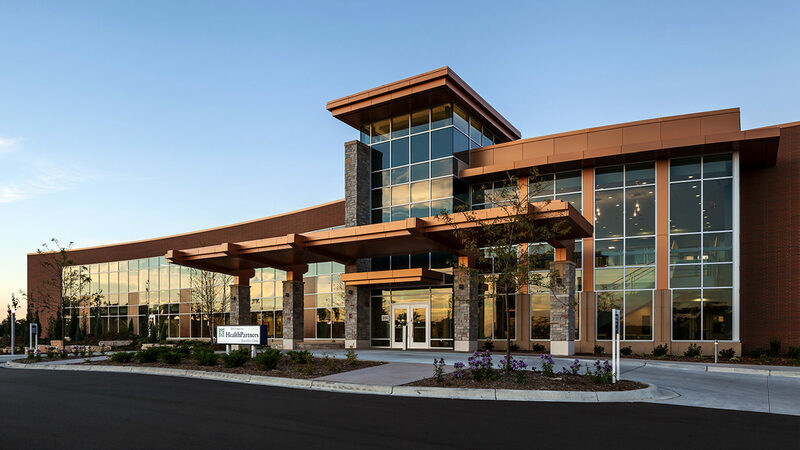 Designed by BWBR Architects, the teamwork effort included strong participation among women and minority subcontractors; and employed BIM/VDC technology to enhance the efficiency and flexibility of the facility for the owner’s future use.